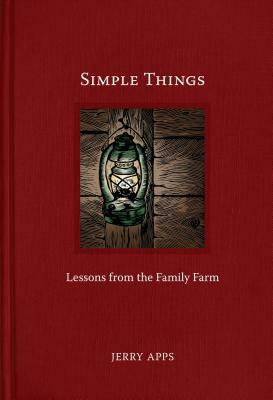 In this collection of thoughtful essays, Jerry Apps reflects on the “simple things” that made up everyday life on the farm—an old cedar fencepost, Fanny the farm dog, the trusty tools used for farmwork, the kerosene lantern the family gathered around each morning and evening. As he holds each item up to the light for a closer look, he plumbs his memories for the deeper meanings of these objects, sharing the values instilled in him during his rural boyhood in the 1940s and 1950s. He concludes that people who had the opportunity to grow up on family farms gained useful skills, important knowledge, and lifelong values that serve them well throughout their lives. Apps captures and shares those things for people who remember them and those who never had the benefit of living on a small farm. Jerry Apps is professor emeritus at the University of Wisconsin–Madison and the author of many books on rural history, country life, and the environment. He has co-created four documentaries with Wisconsin Public Television and has won many awards for his writing. Jerry and his wife, Ruth, divide their time between their home in Madison and their farm, Roshara, in Waushara County.